The Joys of Podcasts — Put Those Headphones On! At Books on the Nightstand, we strive to bring you great book recommendations, as well as a behind-the-scenes look at the world of books, bookstores and publishing. We do this through our weekly podcasts and frequent blog posts. Michael Kindness and Ann Kingman are friends and colleagues who work in the publishing industry. That means that we talk about books all day long to other people who love to talk about books. But sometimes, those conversations have to end before we’re ready to stop talking. Thus, this blog . . . Our weekly podcasts (internet radio shows) are the heart of what we do here, and we hope you’ll join us. We post new episodes every Wednesday (or often late Tuesday night). My pick for this week is The Painter by Peter Heller. 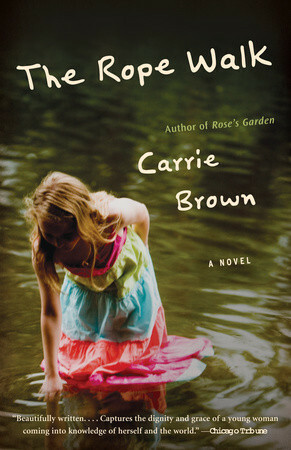 I love this novel so much, even more than I loved The Dog Stars, which I wouldn’t have thought possible. I think this is a book that will appeal to so many of you: those of you who love beautiful sentences, those that like intriguing characters, those that love great descriptions of the landscape, and all of you that love a fully-realized story. Don’t miss this one! I especially enjoy the audiobook reviews, which focus not only on the content of the books, but the performances of the narrators. I’ve mentioned before that I love listening to audiobooks when I’m on car trips (Road Trip “Reading” — The Joys of Audiobooks). 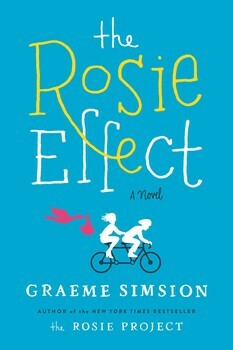 Right now, I’m able to relax — and even laugh– while driving in Chicago traffic because I’m listening to The Rosie Effect, by Graeme Simsion. Serial debuted in October as a spinoff of This American Life, a long-running podcast from Chicago public radio station WBEZ. In it, Koenig reinvestigated the case of Adnan Syed, who is serving a life sentence for the 1999 strangulation of his high school ex-girlfriend, Hae Min Lee, whose body was found in a Baltimore-area park. The show racked up unprecedented numbers of downloads and took on a life of its own as devotees debated Syed’s guilt. Other podcasts I enjoy listening to are The Moth: True Stories Told Live, Selected Shorts: Let Us Tell You a Story, and Slate’s Audio Book Club. The online magazine Bustle has a good list of literary podcasts, noting that “podcasts are a great excuse to shut out the world for a little bit on your next commute, jog, or errand, and get lost in a community of people who are just as psyched about books as you are. Put those headphones on; all the cool people are doing it”. One question: why haven’t I lost any weight, with all the walking/listening I’ve been doing? Now er can learn about podcasts. I tried listening to audiobooks when I was training for a half marathon last year and had trouble concentrating. Then, I switched over to podcasts and fell in love!! I listen to Books on the Nightstand as well…plus, Book Riot (and All the Books), Literary Disco, and Dear Book Nerd. 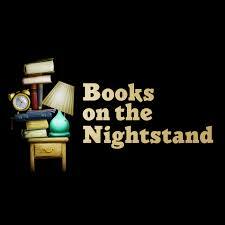 Interesting that you almost named your blog Books on the Nightstand! I just listened to a couple of episodes of Literary Disco — really enjoyed them. Thanks for the tip! I’ll have to try podcasts out. Thanks for the tip. I’m sure I’ll get hooked. I just blogged about audiobooks and the differences with them and reading books. What do you think of audiobooks?